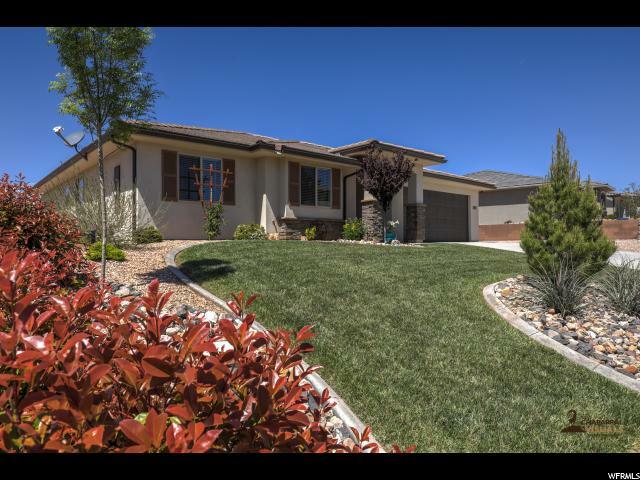 All DESERT CANYON homes currently listed for sale in St. George as of 04/25/2019 are shown below. You can change the search criteria at any time by pressing the 'Change Search' button below. "This is a Remarkably Clean Home! Gently lived in, Like New! Amazing RV parking... You can put all your your toys in this space. And the VIEWS, WOW!!! Desert Canyon community is an outdoor paradise. Backyard is complete for this Great home. Also, the garage has been insulated with double the required amount insulation installed in the attic. And, an Incredible garden spot. This home has it ALL!"